While the amount of home security options has risen significantly over the years, many homeowners have been faced with the unfortunate reality that they cannot afford quality options. With home security technology constantly improving, the prices associated with purchasing a reliable security system have also increased. Fortunately, there are some companies out there that have understood the need for an affordable security system for homeowners. Korner is one such company. After designing and putting together a prototype for their new affordable security system, they raised over $400,000 for manufacturing through an Indiegogo crowd-funding campaign. Now, over a year after the crowd-funding campaign, Korner is available to consumers for under $100. But is this easy-to-use security system for under $100 too good to be true? The purpose of this review is to give you a deeper look into Korner so you can answer that question for yourself. What Do Korner Customers Say? Developed in 2014, Korner is a new security system that offers an affordable way for homeowners and renters to secure their property. It is as easy-to-use as a security system can be, combining a strong product design with a unique mobile app offering personalized settings. As a one-piece door/window sensor, getting the system up and running is an absolute breeze and Korner has a regularly updated blog to help you every step of the way. While Korner is a fairly new security system, the popularity that it gained from its successful Indiegogo campaign has led to many users giving it a shot. Most reviews on it at this point are highly favorable, although there have been a few questions raised by some. Overwhelmingly, the biggest thing that positive reviews of the Korner mention is just how easy it is to set up and get used to. It is an incredibly simple product and some reviewers have said that they could literally have their child set it up. The simplicity of connecting it to the mobile app and the ease-of-use with the mobile app is also raved about in several reviews. “The ease of use cannot be oversold. There may still be some visual quirks with the iPhone app but all are minor and the main webpage has none of those issues (so there’s always an easy work around). Plus, as I said, I am an early purchaser so likely these minor annoyances will all be remedied in a new software release very soon. The system is unobtrusive, reasonably attractive when it is noticed and above all fully functional. The fob (and apps) quickly and accurately catch any opening of a door or window that is “tagged”. Another aspect of the Korner that many users enjoy is the social capabilities through the app. The ‘Security Circle’ feature allows you to set up a list of contacts that will be alerted when an intrusion or issue occurs. You can even get those contacts to come directly from the contact list on your phone. While there are very few negative reviews for the Korner at this point, some reviewers have pointed out a few issues with the security system. For one, the fact that it is disabled during a power outage can be a problem. It is also basically worthless if you do not have internet access on your mobile device as you will not receive an alert. The issue has also been brought up that opening a door or window slowly will prevent the alarm from going off. Korner has mentioned that they went to great lengths to prevent too many false alarms and it seems that this may be causing some issues with its reliability as a security system. The fact that Korner tags are hard to see, however, makes it unlikely that an intruder would think to open a door or window slowly. The simplicity of the Korner cannot be overstated. Setting it up is as easy as can be, even for non tech savvy users. All you have to do is place the tags on the doors or windows that you want to monitor and connect the stick to a modem or router. From there, simply connect to your mobile app and your security system is up and running. The innovation behind the mobile app that Korner designed is something to behold. They give you the ability to set up a ‘Security Circle’ where you can immediately alert a list of friends, family, and neighbors that an intrusion has taken place. Therefore, if you are away and one of your contacts is nearby, they can check on the situation for you. Korner has mentioned that they plan on turning this into a neighborhood watch like feature in the future. The battery within the Korner tags are designed to last up to two years. While this is less than you will find with many lithium powered devices, replacing the battery is much simpler and cheaper with the Korner than it is with most others. They also have a feature included that will alert you well in advance of a low battery issue. 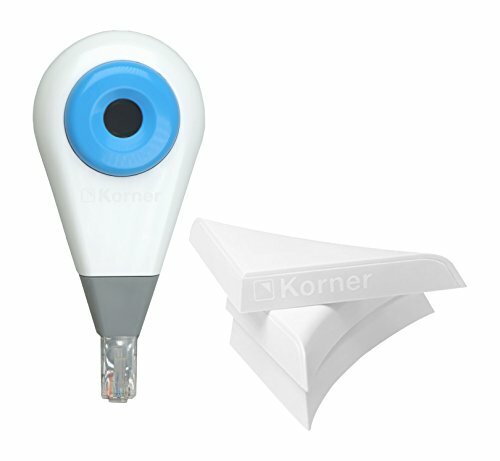 Whether you are moving from a property or just want to monitor a different door or window, Korner is extremely easy to take down and move. The fact that there is no major control panel connected to a wall is a major plus for takedown. All you have to do is pop the tags off and re-apply them on the doors and windows that you would like to monitor. With the tags plugged in, you can arm or disable whether or not you want a sound to go off when an intrusion is detected. Even when the alarm sound is disabled, your mobile app will still let you know if and when an intrusion through your monitored doors or windows has occurred. You can even automate the alarm to arm and disarm at certain times of the day. Users have raved about the quality and reliability of the mobile app. 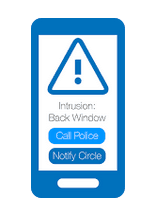 From the social capabilities to the fact that you can immediately alert the authorities of an intrusion, the app ensures that you have the ability to alert others that an intrusion has occurred. Do you have a Korner? If so, we would be happy to hear about your experience with it. Creating a review on our site is a great way to let others know about the positive or negative experiences that you have had with this system. It is also a great way to get third party feedback about the issues that you are having with the device. If you are interested in potentially purchasing one for yourself, we would be happy to answer any further questions that you have about the Korner security system. Either way, feel free to get in touch or continue to browse the site! Control from App, get alerts. Allows families/users to protect homes at a lower price with reliable features, including its Mobile App that allows you alert authorities immediately. It is simple and easy to install. No additional accessories available. Cocoon Review: Whole-Home Protection From Just One Device? 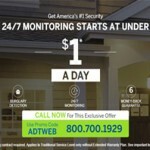 ADT Security Review: Read Before Buying!